In this activity you built a game that kept track of batting averages, just like computer programs do for real life sports. Google Fit also uses variables to keep track of data. Check out Googler Lisa Ray talking about it. Google Fit is an open fitness ecosystem that provides developers with a single set of APIs to discover, record, store, and read activity data with user permission. So users have a single place to store all of their data. And users own that data and can share with any Apps of their choice to make the data work harder for them. Fitness Apps can request that data be stored from any variable or sensor. And the user's fitness data is persistent when they upgrade their fitness devices. Variables store steps taken and time spent doing different exercises. This helps people keep track of their fitness. Variables also keep track of the numbers of likes and dislikes a video on YouTube gets. Each time someone clicks a thumbs up button on a YouTube video, the variable that holds the number of times someone liked the video increases. And the site shows this new number. Google Maps uses variables as well. A variable stores your current location. That way the App knows when to tell you the next instruction. A different variable stores the current instruction, so that it can be displayed at the top. 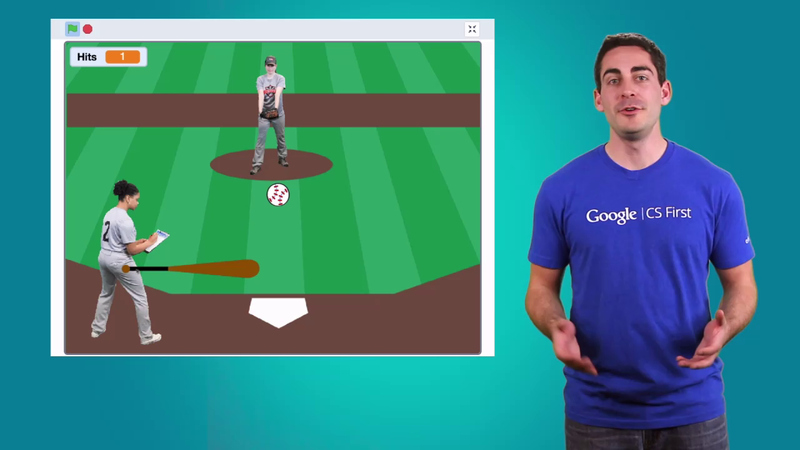 Google makes products using variables like the one you used in this activity. Next session you'll program a sweet extreme sports game in which the user will control an extreme sports athlete to dodge obstacles. Former New York Yankees All-Star Shortstop Derek Jeter, one of my favorite players of all time said, "There may be people that move more talent than you, "but there's no excuse for anyone "to work harder than you do." This is certainly true for Derek, who struggled in the minor leagues before becoming a 14 time All-Star and a five time World Series Champion. Working hard is even more important than raw talent when it comes to learning, improving, and achieving success. So no matter what you do, do your best in each activity, and always work hard.